Ubisoft announced last month that its new installment in the Assassin's Creed franchise, Rebellion, will be released in the App Store and Google Play on November 21. Well, it looks like Ubisoft was able to finish development a day early, which means you can now go ahead and download Assassin's Creed Rebellion on your Android or iOS handset. Yes, the game is available for free, but keep in mind that it comes with in-app purchases that range up to $99.99, so make sure to disable this feature if you don't plan to spend any money in-game. 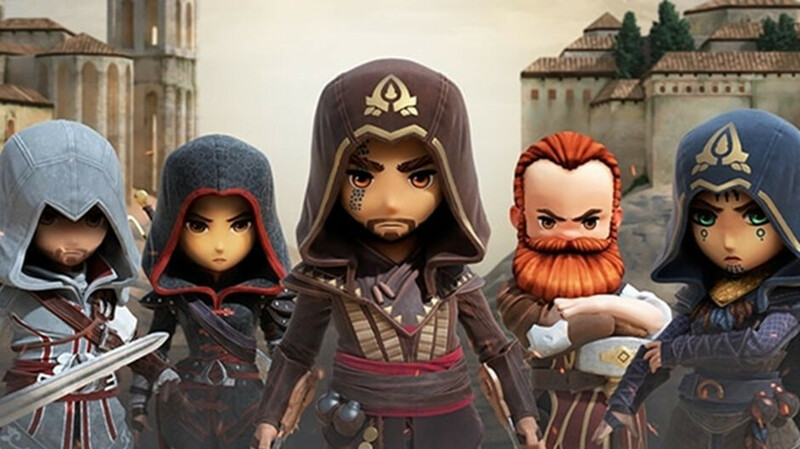 In Assassin's Creed Rebellion, players build their own Brotherhood and try to rediscover the legends of the Assassin's Order, something that Ubisoft kind of neglected in their latest Assassin's Creed Origins and Odyssey games. The game allows players to team up with more than 40 characters, including iconic heroes that made the Assassin's Creed franchise so popular among gamers. You'll be able to manage your own base of assassins, build new rooms, craft new equipment, gather resources and create new medicine. Also, Ubisoft announced it will regularly release time-limited events that players will be able to join and earn additional rewards, as well as get the chance to unlock rare assassins. Assassin's Creed Rebellion does require an online connection, so keep that in mind if you plan on playing it on either an iOS or Android phone.